One of the shocks for me as a first-time mum was the back and shoulder pain associated with holding my baby for prolonged periods. I mean, babies are so tiny, how is it even possible that they can get heavy and uncomfortable to hold? It wasn’t long before feeding was accompanied by a million pillow props and a trip to the physio. This time around, I’m being proactive and investing in a feeding pillow. The Niche feeding pillow from Nook Sleep Systems ushers in the next generation of feeding pillows and is already causing quite a stir in Australia. It wraps securely around your waist like a big travel neck support pillow and is filled with organic kapok, making it lightweight but thick and therefore extremely supportive and breathable. 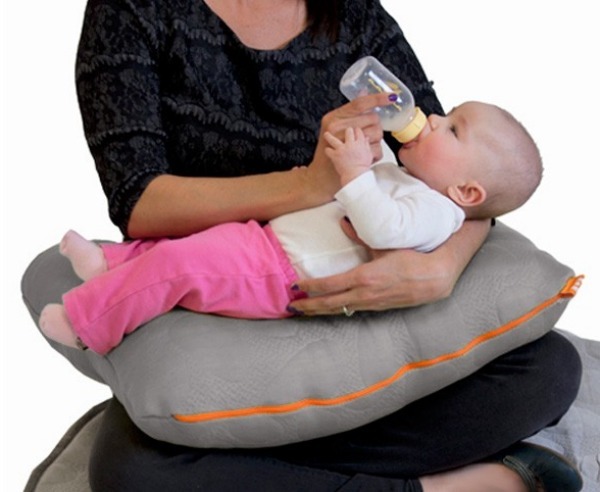 It has height, which means that you don’t have to hunch over your baby, use a foot rest or other pillows for support. 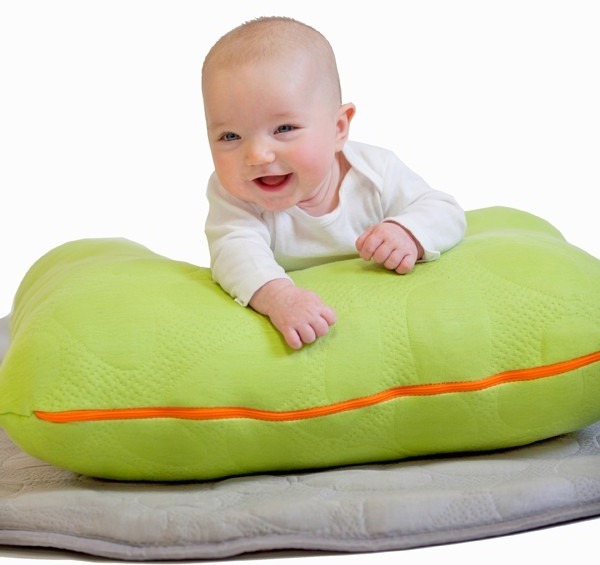 The large square design provides more surface area for baby to rest on safely at home or on the go. Nook are a US company that produce a beautiful range of baby and toddler products as a healthier alternative to mainstream, synthetic products. Already renowned for their innovative and beautiful pebble material, we have previously featured the Pebble Pure cot mattress, Lillypad Play Mat and Nook Pebble Lounger. The removable cover of The Niche feeding pillow has the same patented pebble material and it is made from organic cotton and eucalyptus to ensure maximum breathability, moisture-wicking and comfort. 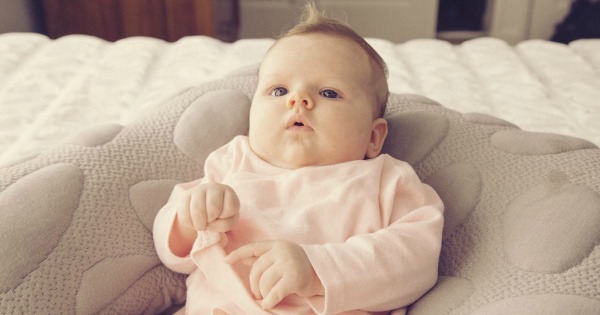 It can be machine washed for ultimate practicality and once you are done using it as a feeding pillow, The Niche can be used as a prop seat for baby as they older and a side sleeper pillow for mum or dad. The Niche is available in lawn green, poppy orange, misty grey and pacific navy and has just been released in Australia. You can find it online at The Nursery Bird where it retails for $145 or contact them to find a stockist near you.